Barcelona 2009” will be held on 25, 26 and 27 November 2009 in this city. 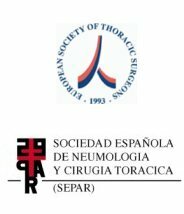 Society of the Pneumology and Thoracic Surgery” organised by SEPAR. display in the exhibition area will also help the communication process. was to ensure the event is a success and to cultivate personal relationships. participate in the 2009 Joint Meeting.